(NewsUSA) - Sponsored News - In the '50s and '60s, certain classes, such as home economics and woodshop, were required in most high schools. Maybe that's why Americans are so fascinated with handcrafted projects. This new revolution, called the maker movement, is where people create and market products from raw materials, and the movement has given rise to websites such as Kickstarter, Etsy, Pinterest and Maker Faire, which boast millions of followers and billions of dollars. Now a new series on family entertainment television network, INSP, is celebrating artisans and their work. 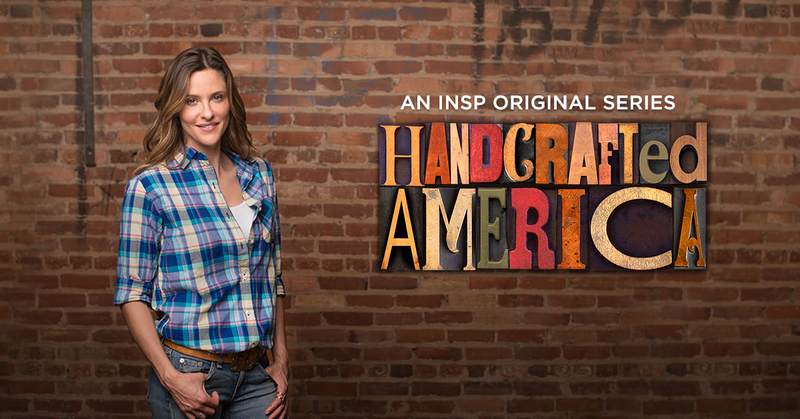 In Handcrafted America, viewers will meet fascinating people from all across America who are dedicated to their crafts. In every half-hour episode, host Jill Wagner (Teen Wolf, Wipeout, Christmas in the Smokies) meets three gifted artisans (some more than five generations in their field), and takes you on a behind-the-scenes look at how they create their products, from start to finish. Along the way, Wagner will delve into the history and cultural heritage that inspire and influence the design of their handcrafted products. Viewers will become part of these artisans' lives as they tell the stories of their families, their journeys and their dreams. "From glass blowing to ornate clock making to blacksmithing, Handcrafted America entertains and informs -- not in a dry, academic way, but with adventure, spirited discovery, fun and authenticity. America's passion for making things continues to be strong, and Artisans from coast to coast still create handcrafted treasures. This is the focal point of the series," says Craig Miller, VP of original programming at INSP. Handcrafted America can be seen on Tuesdays at 8 p.m. ET on INSP. For additional information, including information on where to watch in your area, please visit www.insp.com.